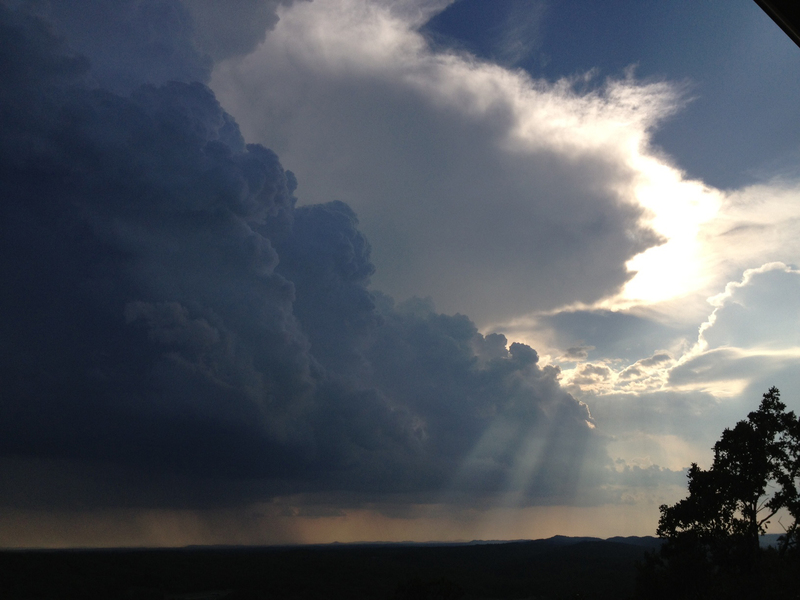 Between creating graphics for a PowerPoint, saw this incredible panorama of clouds, light and rain. Part of a wave of drought-breaking storms. The equinox that marks the beginning of spring in the northern hemisphere is still 15 days away. No matter. Seems like everything else believes it to be here already. SUNWARD -- Sunshine. Unseasonable warmth. Blooming trees and fragrant air. Who needs an excuse to be out? 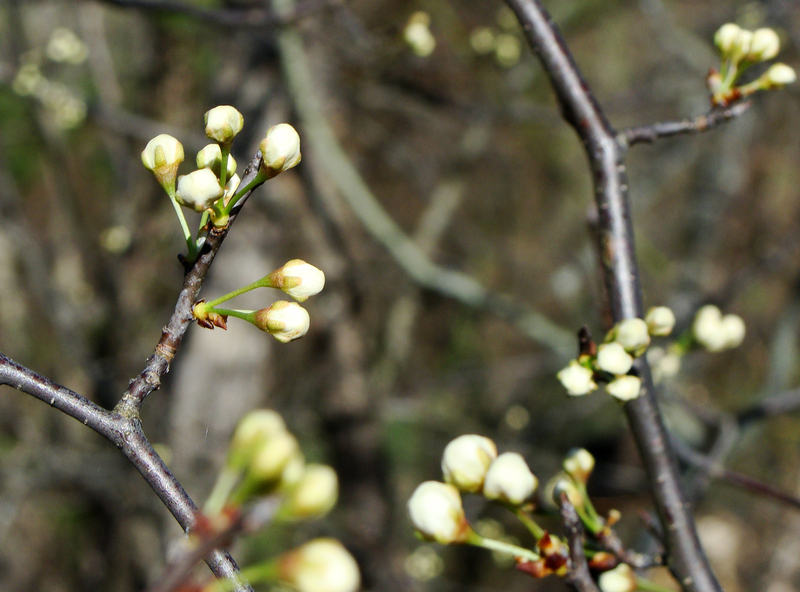 READY TO POP -- If you hold your ear just close enough, you can almost hear the countdown to blooming. 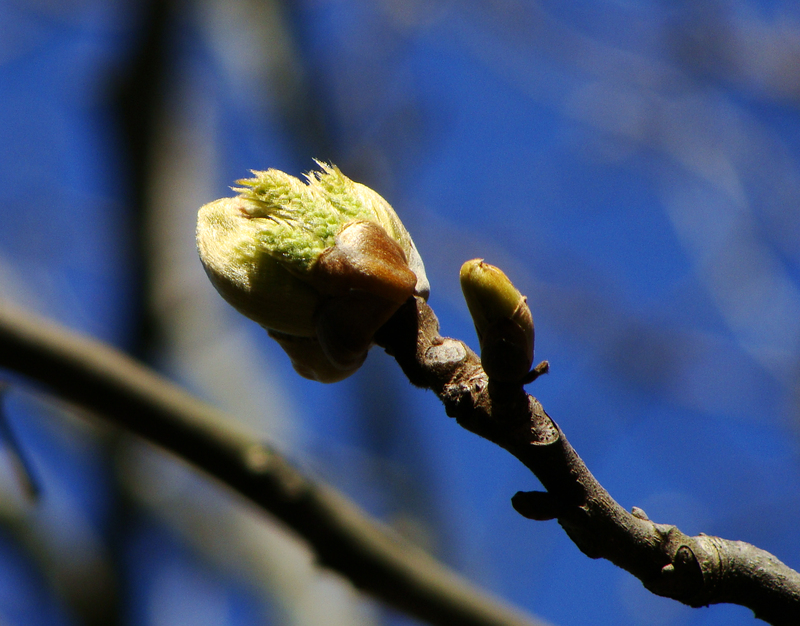 BUDDING -- Tree bud ready to unfurl. Just a day later, some of its brethren had opened. 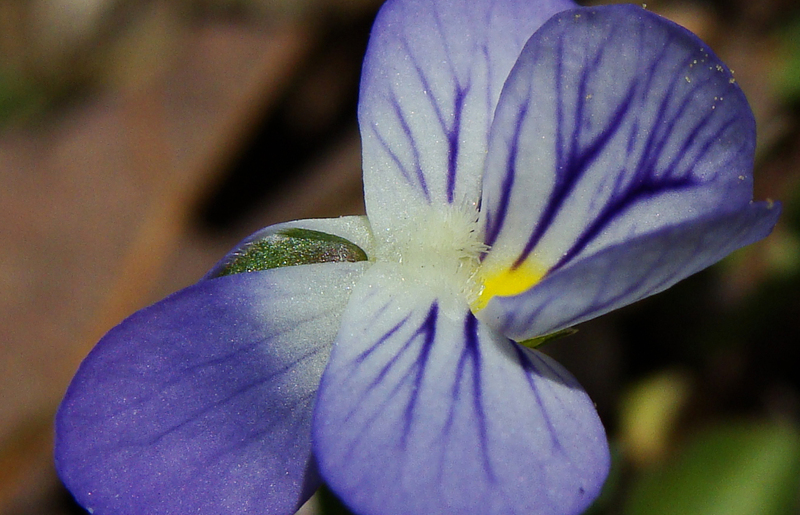 VIOLET -- The lawn's first violet. To say central Arkansas has had a mild winter is an understatement. Just yesterday, the National Weather Service reported a record high of 83 at the airport, tying the old record set back in 1904. 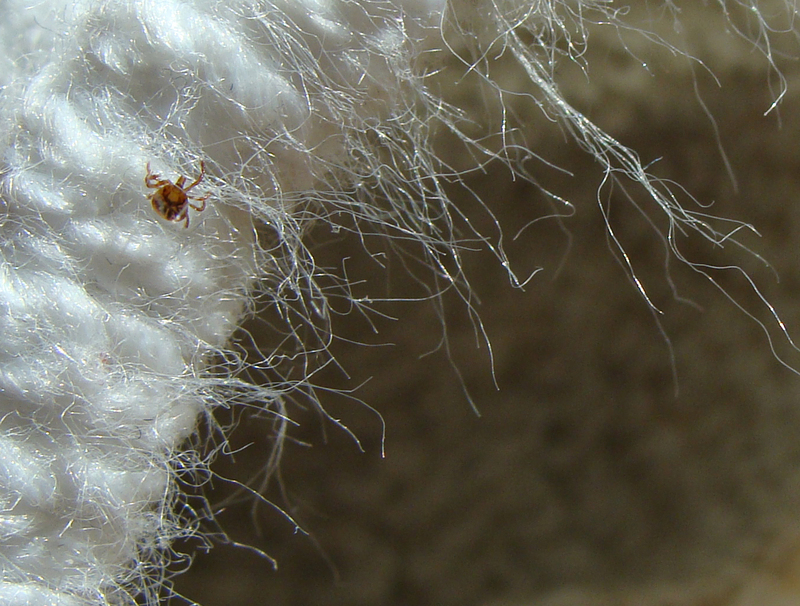 While it’s great for getting out in the garden or on the trail, it also means there was no winter kill for little arthropodic nasties like ticks. Below are photos of a hitchhiker found after having waded for an hour in the brambles to knock back dead canes, possibly improve blackberry yield and probably scare the stuffins’ out of the snakes in hiding. 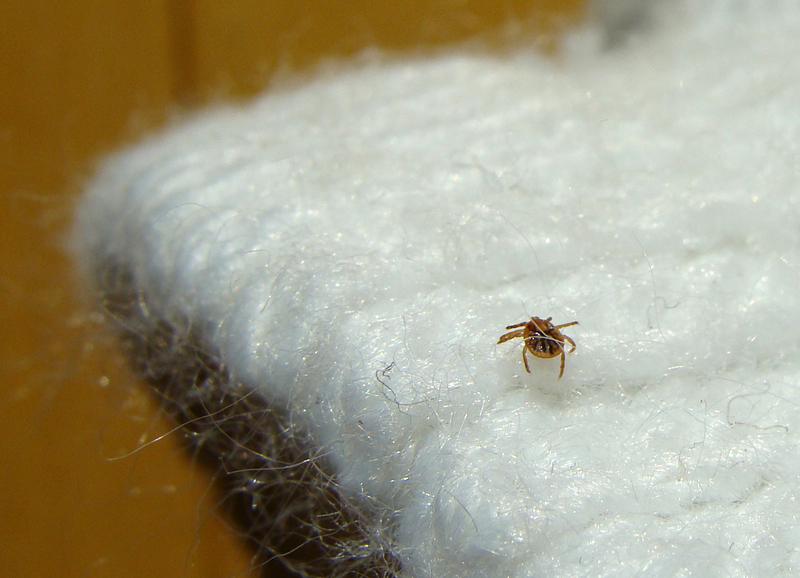 SOCK IT TO ME -- Tiny deer tick, about 1/16th of an inch long, navigates the forest of sock fibers. SAME -- Same deer tick, same sock, different angle. 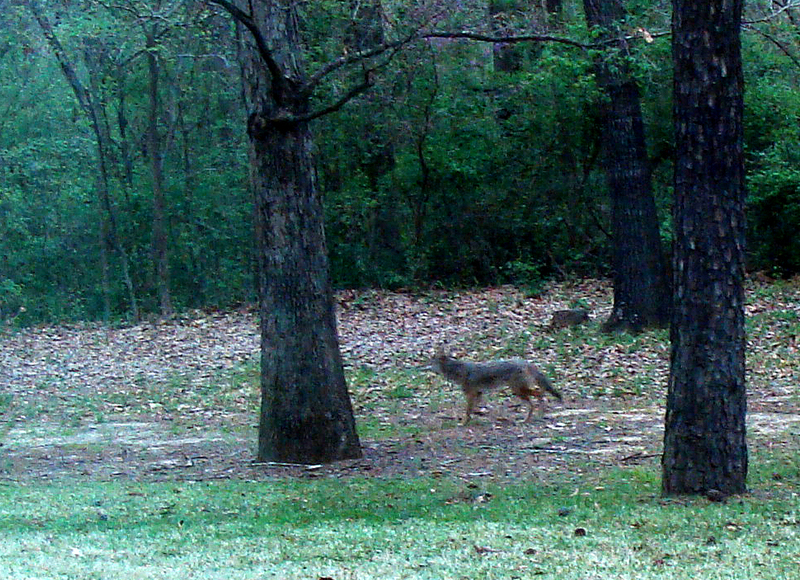 Not feeling terribly creative this morning, but felt compelled to post these two photos. One of a goldfinch who stopped at the net bag holding the outside temperature sensor and the second with another sort of netting, chomped out by hungry larvae no doubt. 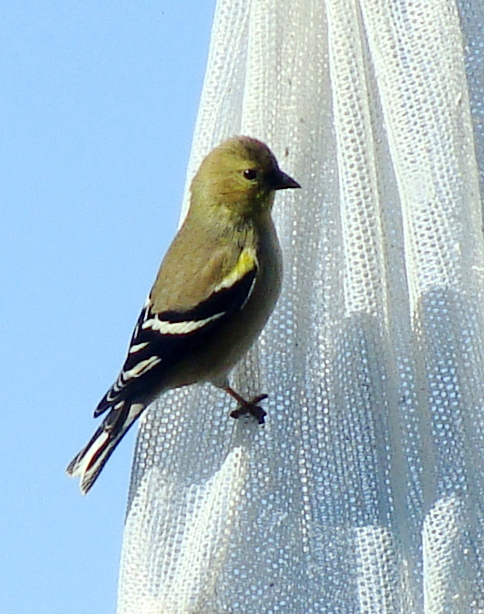 FINCH -- A goldfinch in his non-breeding-time livery makes a stop on a sunny winter's day. 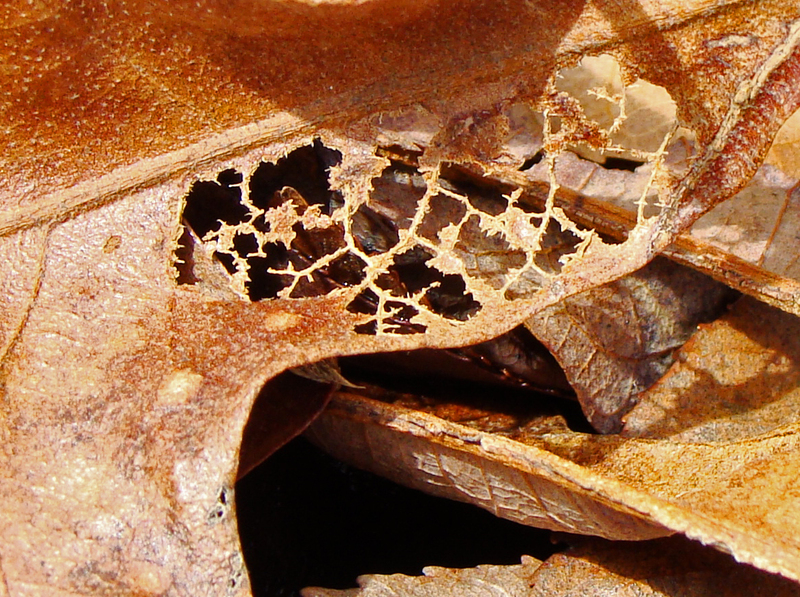 NATURE'S LACEWORK -- A fallen oak leaf shows its caterpillar resistant parts. For our 300th post, here’s a look at one of our favorite things: the sky. 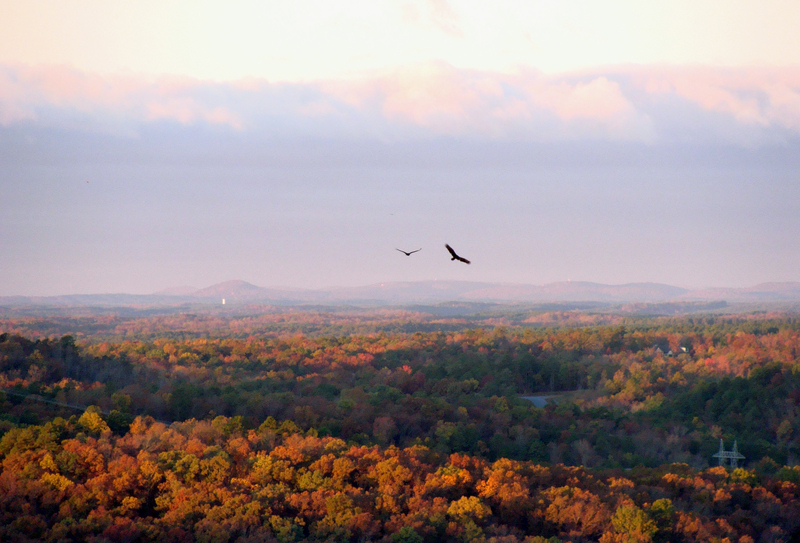 GET BUZZED -- Two vultures take a morning cruise over the valley. 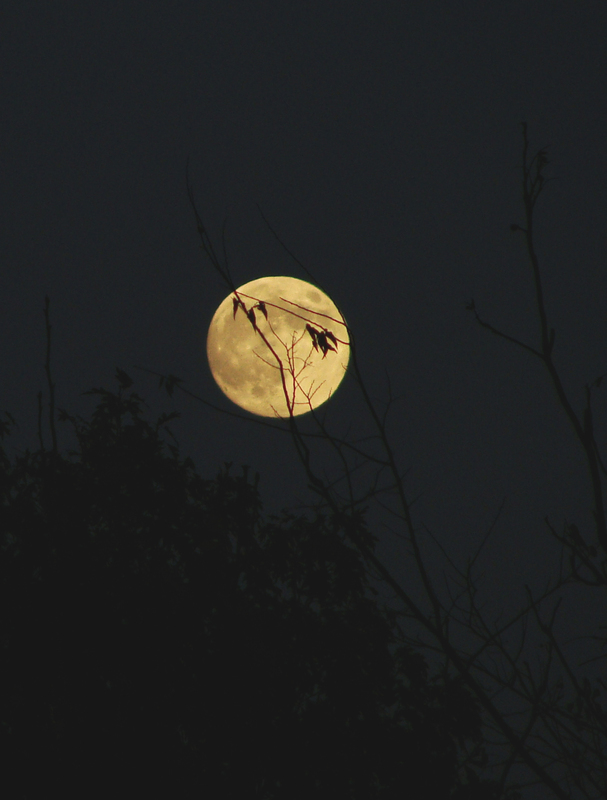 AUTUMN MOON -- The autumn moon's light throws a nearly bare branchlet in silhouette. 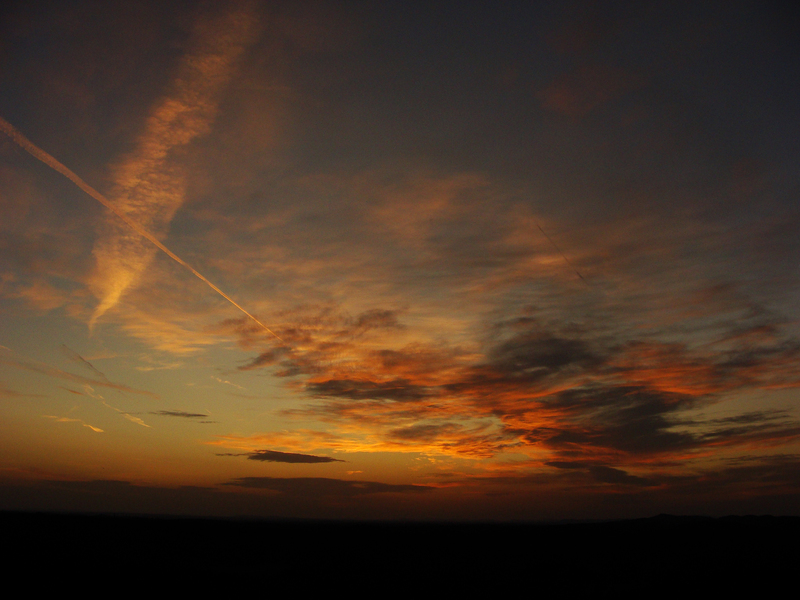 CONTRAILS -- Westbound contrails cut across Sunday's sunset. 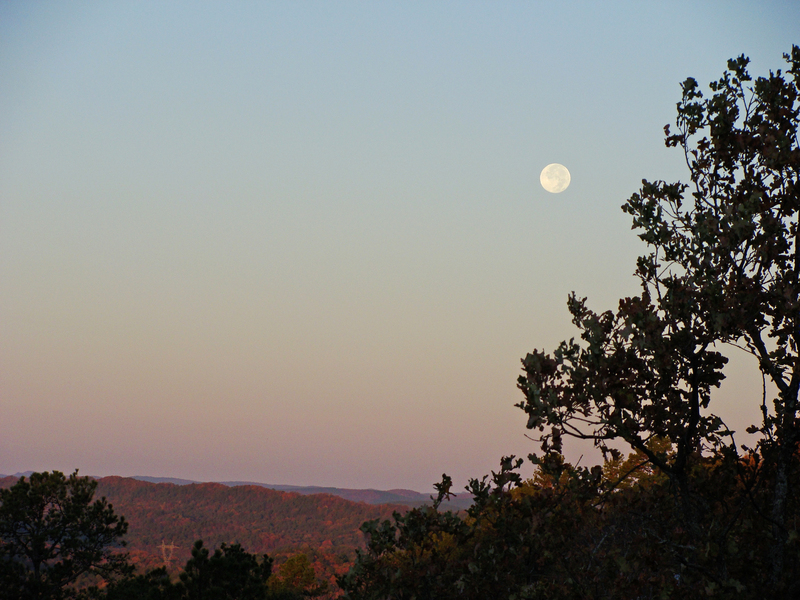 MOONSET -- The full moon takes the long way home. NORTHBOUND -- Chevrons of birds heading north at a time when most fowl are headed south in the Mississippi flyway. Plenty of yellow in the landscape. Not pictured are the yellow mums that are hanging on in the shallow soil of the sad northside garden. The deeper soil that holds a small garden in the middle of what used to be a bermudagrass lawn has brought forth two seasons of floral and insect delight. 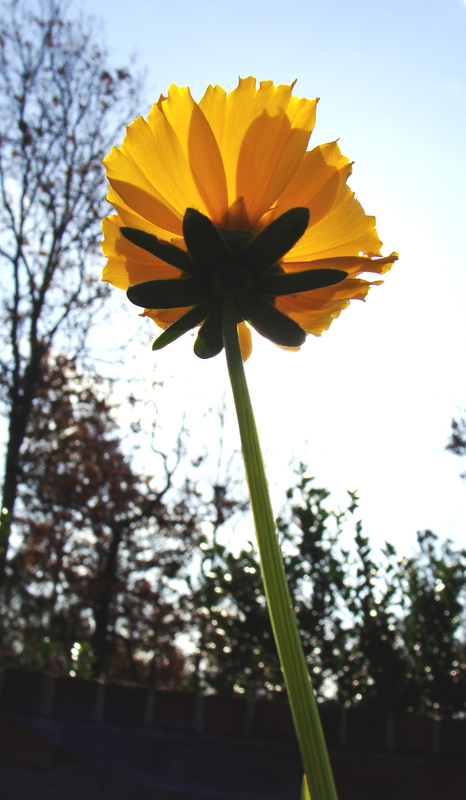 STANDING TALL -- The wildflower mix in the garden continues to give forth blooms even into mid-November. 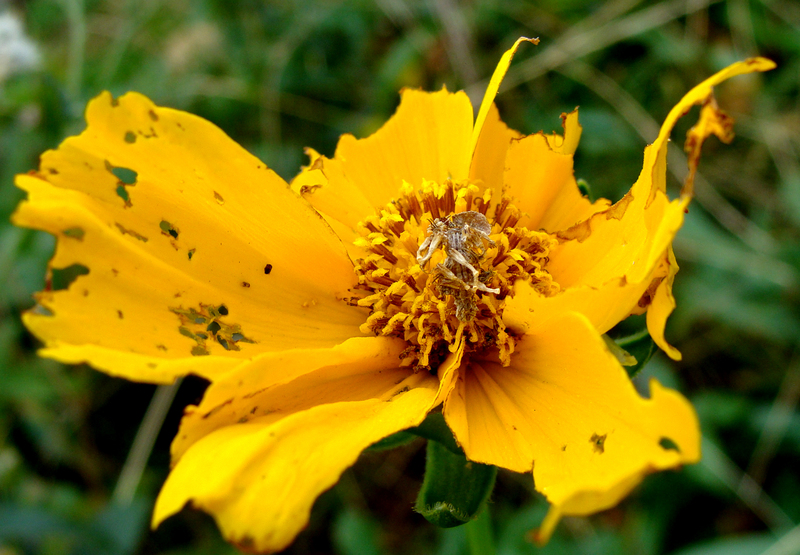 EDIBLE -- Some flowers are more tasty than others. 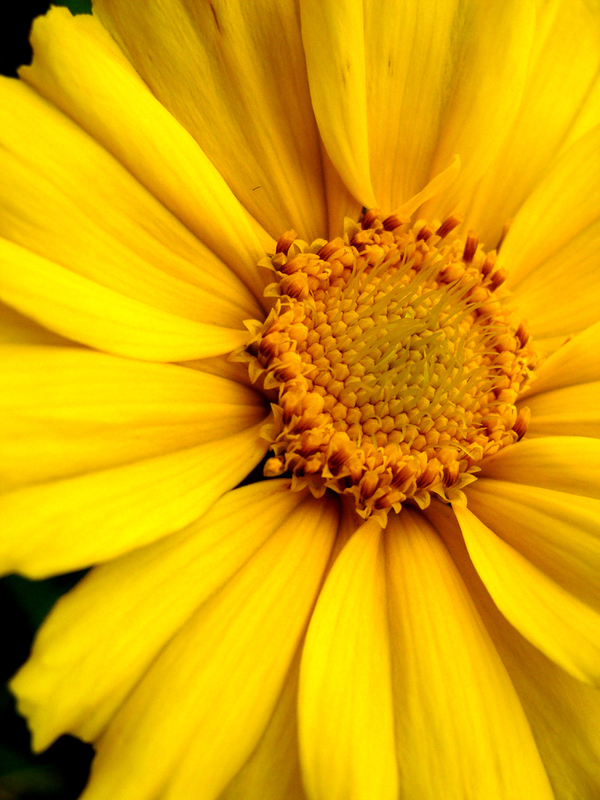 SUNNY -- Yellow flower turns its bright face to the November sun. 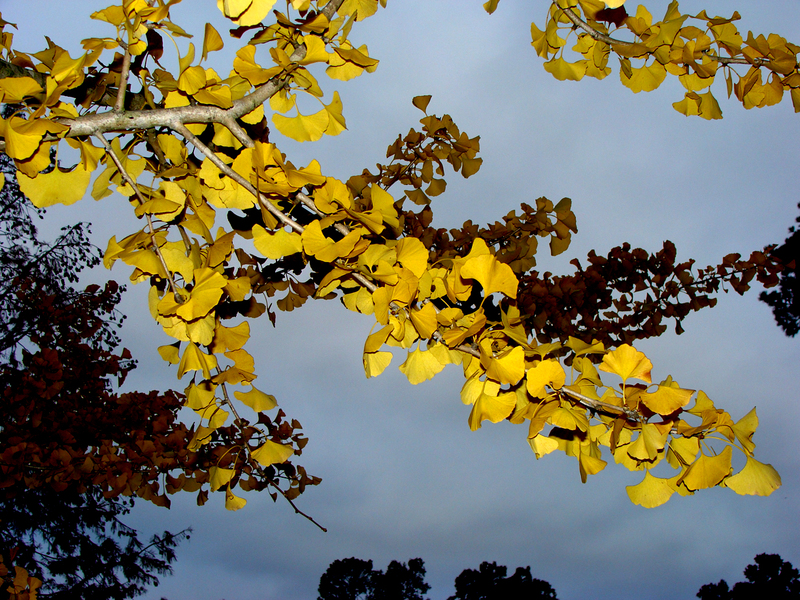 GINGKO -- Beautiful yellow leaves, but I can never seem to shoot them right. 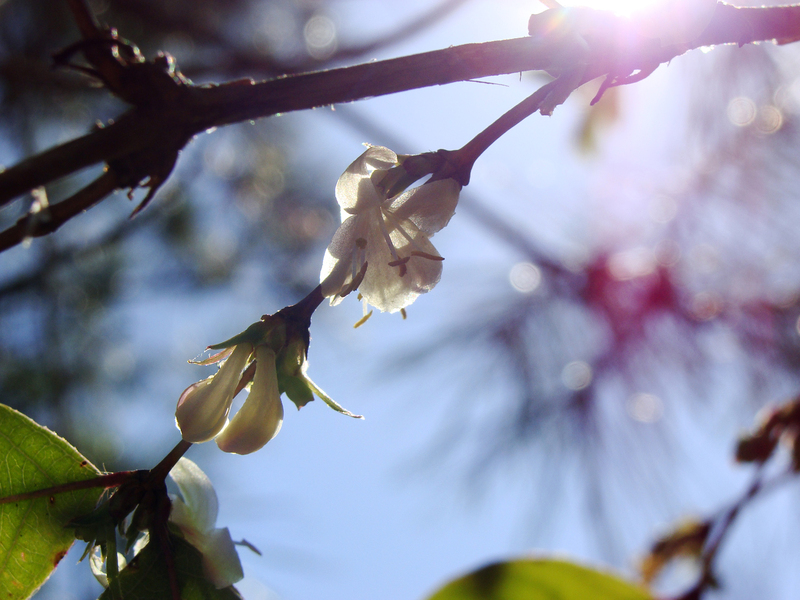 For years, Bradford pears were the ornamental tree of choice, the chief reasons being their showy early spring blooms, beautiful fall foliage, pleasant symmetry and general willingness to grow in parking lots and other urban settings. However, the years begin to tell on them. 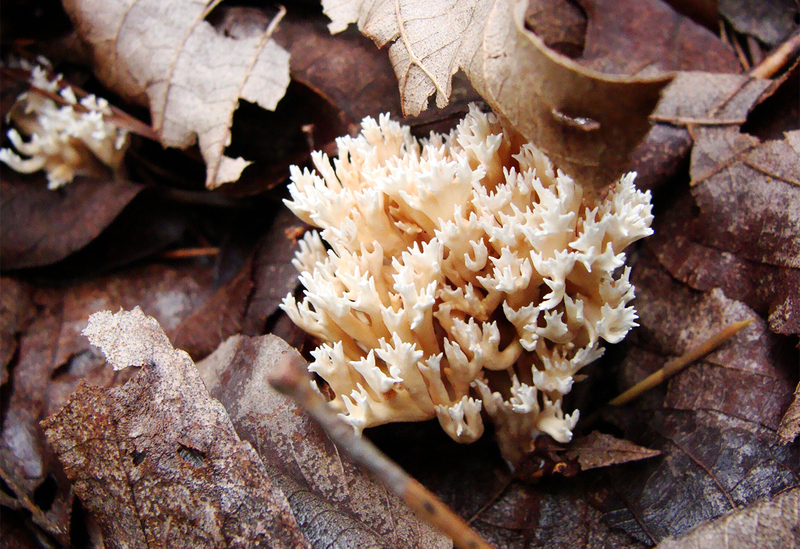 As they grow, they can lose their symmetry and their brittle wood snaps easily. And despite being a delight to the eyes, their bouquet is more akin to bilge water. Still, they are a welcome sign of spring. 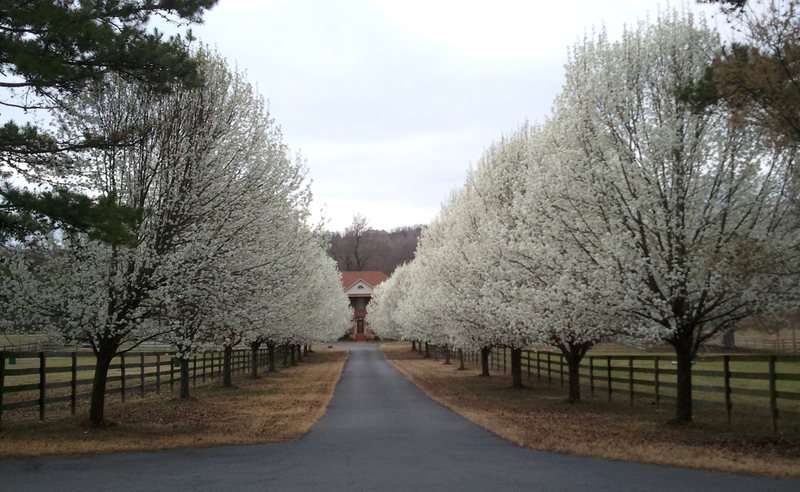 Blooming Bradford pears make the entrance to this Ferndale home very impressive.